Force Sight: Once blinded, Kanan's mastery of the Force allowed him to operate as if he still retained his full sight, although this had some limitations such as reading and other interactions which were not possible through the force. Description: Kanan Jarrus, born Caleb Dume, was a Force-sensitive human male Jedi Knight who survived Order 66 during the Clone Wars. Living on thanks to the sacrifice of his Master, Depa Billaba, on Kaller, he met the smuggler Janus Kasmir, who taught him how to survive as a fugitive. Going into hiding, he forsook the Jedi ways for some time, swapping his blue-bladed lightsaber for a blaster. After working with the Twi'lek rebel operative Hera Syndulla during the Gorse conflict, Jarrus decided to join her nascent rebel cell. As Syndulla's second-in-command, the two came to develop a romantic relationship. After the Force-sensitive teenager Ezra Bridger joined the Spectres, Jarrus became his Jedi mentor despite still being a Padawan. After defeating the Grand Inquisitor in combat, Jarrus and his fellow rebels learned they were part of a larger rebellion and joined Phoenix Cell. During a mission to Malachor, Jarrus was blinded by the former Sith Lord Maul. After months of retreat, Jarrus restored his connection to the Force and repaired his frayed relationship with Bridger with the help of a mysterious being called Bendu, who taught him to see things through the Force. The reinvigorated Jarrus and his fellow rebels would continue fighting various adversaries including Imperial Grand Admiral Thrawn and Maul, who sought to corrupt Bridger and destroy Obi-Wan Kenobi, the key to destroying the Sith. Regaining his confidence, Jarrus also taught the Mandalorian rebel Sabine Wren how to wield the Darksaber and helped her to rally the Mandalorians over to the rebel cause. As the Rebel Alliance escalated its struggle with the Empire, Kanan and his fellow rebels returned to free Lothal, a world which they had a special connection with. Jarrus eventually met his death one year before the Battle of Yavin on Lothal, during the rescue of Hera Syndulla after Governor Arihnda Pryce ordered her walker to fire on the fuel pod they were on, sacrificing himself to allow his fellow rebels to escape. Following Jarrus' death, he became a part of the Cosmic Force, manifesting as a huge loth-wolf named Dume, which appeared to Ezra several times. Later, Hera gave birth to their son, whom she named Jacen. During his youth, Kanan Jarrus (or rather, Caleb Dume) had a tendency to ask many questions, hoping to better understand things, which earned him somewhat of a bad reputation among his peers, but it was that inquisitive nature that motivated Billaba to choose him as her apprentice. She would, however, tease him about it, such as when she said questions seemed to be the "natural state" of his mind. Young as he was, he was also reckless, rushing headlong into danger. Any disrespect against his master would anger him, as did being called "kid." Another peculiarity was that every time he got nervous, he would run his hand through his hair. A secretive man, Jarrus would rarely talk about his past, as he disliked talking about it, particularly before meeting Hera Syndulla on Gorse. Before her, Jarrus was reckless, impatient and belligerent, as demonstrated by the little care he put in carrying explosives just to meet his schedule, or his tendency to start fights. Seemingly prickly and detached, Jarrus showed his kindness and commitment to justice only when he thought no one was looking, and his only aim in life was survival, until he met Syndulla. She persuaded him to join her to fight for a lost way of life—to work as a rebel leader, for which he resumed his lost qualities of bravery, honor, and perseverance. 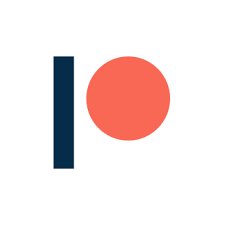 The two later developed a romantic relationship. Having felt adrift since the destruction of the Jedi way of life, he had developed a cynical and cocky personality, and couldn't stand "protocol nonsense." He was also known for humorous banter and for having "a thousand one-liners ready to go." Never having made it past the rank of Padawan until years into Ezra's training, Jarrus had little confidence in his skills as a Jedi and teacher. He was self-conscious about his incomplete Jedi training, and thus hesitated to train Ezra Bridger. Furthermore, Depa Billaba's last words haunted him and, as the Inquisitor once commented, the former Jedi was afraid of his own power, afraid to wear his lightsaber out in the open. However, during a lightsaber duel with the Sentinel, a manifestation of the Grand Inquisitor as a Jedi Temple Guard, Jarrus realized he should feel content with teaching Ezra all he could, and to his surprise, he was Knighted by the Sentinel. Jarrus's experiences during the Clone Wars left him wary of being involved with military affairs. When the Ghost crew was faced with the opportunity to join Phoenix Squadron and become full-fledged members of the Rebel fleet, Jarrus was reluctant to go along, citing his distaste for military protocol and the broader consequences of fighting a war, and became apprehensive and disdainful. Jarrus also harbored substantial animosity towards clone troopers for the role they had played in killing Billaba and hunting him down. As a result, Jarrus found it difficult to trust the retired clones Rex, Gregor and Wolffe, and yet, despite his hard feelings towards them, Kanan decided to rescue them during an Imperial assault on Seelos. After Rex joined the Rebellion and befriended his apprentice Ezra, Jarrus argued with the former Clone Captain on a few occasions about how to train the young Jedi. Despite his issues with clones, Jarrus was able to work with Rex to rescue Ezra and several other Phoenix rebels during a rescue mission aboard the Imperial Interdictor. As a result of attaining Jedi Knighthood during his Jedi Trials at the Lothal Jedi Temple, Kanan resolved to keep his apprentice Ezra from falling to the dark side. Kanan was willing to die for this cause. Having grown up during the last years of the Jedi Order, Kanan distrusted the former Sith apprentice Maul and realized that he wanted to use Ezra for his powers. Kanan's distrust of Maul was confirmed when the darksider blinded him on Malachor. Kanan's blinding had a great impact on the Jedi Knight's life and worldview. Kanan withdrew from his responsibilities in Hera's rebel cell and the Phoenix Squadron to meditate in the Force. Due to his upbringing, Kanan distrusted anything associated with the Sith and dark side and chastised Ezra for toying with a Sith holocron he had found on Malachor. Under the tutelage of the Bendu, Kanan learned to see through the Force, overcome his fears of the spider-like krykna, and repair his strained relationship with Ezra. By repairing his relationship with his rebel friends, Kanan was able to regain his connection to the Force. Kanan was a strict and methodical teacher. Due to Sabine's initial lack of enthusiasm for the Darksaber, Kanan believed that it would be safer for her to begin her training by sparring with melee sticks and learning the basic lightsaber strokes. As a seasoned Jedi, Kanan was knowledgeable of history and familiar with Mandalorian vambraces. His emphasis on skills and discipline clashed with Sabine's free-spirited and improvised style of combat. The two were able to resolve their differences after Sabine overcame her strained memories of her family and Kanan decided to trust Sabine's ability to bond with the Darksaber herself. While Kanan expressed doubts that he was a good teacher for his apprentice Ezra since he had not completed his own training, Ezra reassured his master that he had taught him about life and how to be a better person. Kanan tried to reason with Bendu to aid the rebellion against Thrawn's Imperial forces but underestimated the creature's stubborn devotion to neutrality and volatile temperament. Kanan later complimented his former adversary Agent Kallus for risking his life to aid the rebellion. Due to his past experiences, Kanan was also able to look past the rebels' crushing defeat at Atollon. He reassured his apprentice that they were fortunate to survive and that this meant they could continue fighting for a free galaxy. Despite the odds against the rebels, Kanan still thought of a future with his lover Hera. He and Hera came to believe that the Spectres had a special connection to Lothal and that they were predestined to cross paths with Ezra. While Kanan loved Hera and was reluctant to abandon her, he heeded the wolf's warning not to go into Capital City and instead evacuated the rebels Chopper and Mart Mattin. 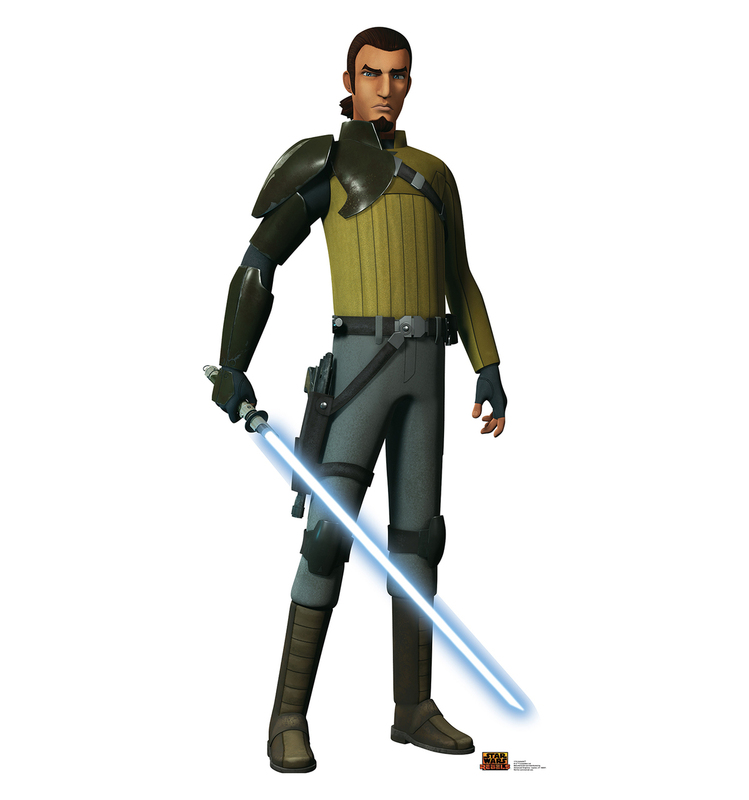 Kanan Jarrus had some skill in Form III due to his training under Depa Billaba, who was a master of the style and emphasized its use in close-quarter fighting. The Inquisitor noted Jarrus favored the style "to a ridiculous degree." During his third duel with the Inquisitor, Jarrus' skill had improved with practice, something the Inquisitor acknowledged. In his final duel with the Inquisitor, he demonstrated enough mastery of Jar'Kai to defeat the Jedi hunter. In addition to Form III, Jarrus possessed skill in Form V, which he demonstrated on numerous occasions, to deflect blaster fire effectively. When he trained Sabine on lightsaber combat, he adopted a one-handed fighting method similar to that of the Grand Inquisitor, which may have been Form II. While Kanan was skilled enough to hold off the Seventh Sister and the Fifth Brother in combat, he still was unable to beat them. Nor could he hope to defeat the likes of a Sith Lord, though he managed to hold a saber lock with Darth Vader for approximately ten seconds. Despite being blind, he was still able to spar with Sabine in a lightsaber training session. Later, the blinded Kanan used the Force to guide him as he used his lightsaber to cut off the legs of an AT-AT walker. Despite Kanan's lightsaber skills, he was outmatched by the Trandoshan foreman Proach, who wielded an electro-whip. Jarrus showed skill in telekinesis, such as pinning the Inquisitor to the ceiling, or pulling stormtroopers in before clotheslining them, as well as pushing objects and multiple people and even restraining and holding people back for a time. However, many of these feats required great effort or concentration on his part, which he would compensate for by using the Force in tandem with his apprentice, Ezra Bridger. 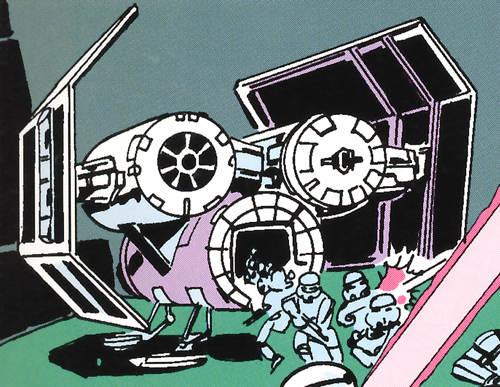 On one occasion, they were able to send Darth Vader himself flying into the path of a collapsing walker with their combined Force powers, though Vader was not paying any attention to them at the time. 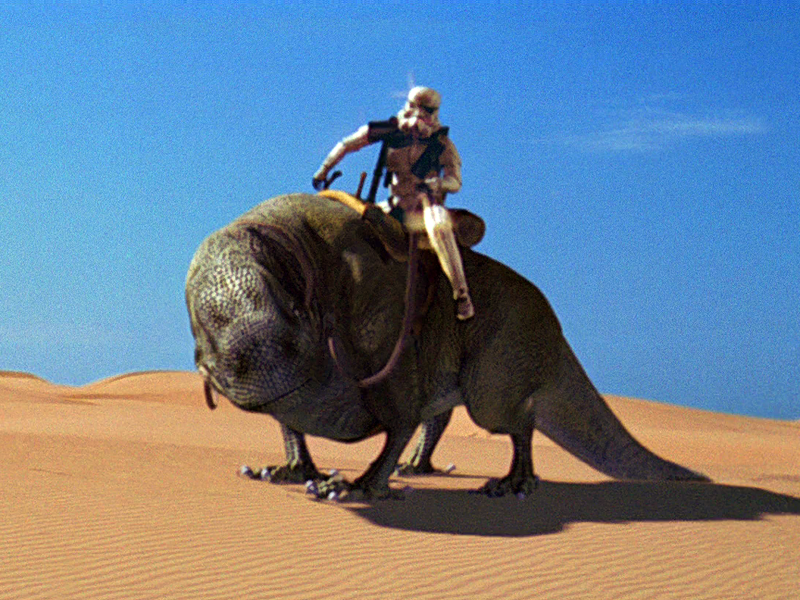 Later in his life he achieved considerably greater mastery of telekinesis, and was at one point able to suspend a huge piece of rock to allow Rex and Gerrera to cross a chasm on Geonosis without significant fatigue, and even followed through with a powerful long-distance Force-enhanced jump. In his final moments, he created a barrier of energy to hold back a massive explosion from an Imperial fuel tank long enough for his family to escape. While holding back the explosion, he levitated and pushed Hera into a commandeered patrol gunship to prevent her from intervening. He then used all of his remaining strength to push the entire ship away from the explosion which was then released from its confinement, killing him. Jarrus's sense allowed him to perceive certain events and even other Force users, such as when he first felt Ezra Bridger's presence on Lothal, when he felt Luminara Unduli's presence on Stygeon Prime, and when he sensed the loth-wolves' deep connection to the Force. Jarrus also demonstrated an affinity for influencing animals through the Force as he did with a loth-cat in one of Bridger's lessons, and later to control several fyrnocks alongside his apprentice. Jarrus could also perform Force jump, such as when he escaped Agent Kallus, or when he leapt to slice the left legs of a walker, as well as mind tricks. Through his Master, Caleb Dume was able to receive Force visions, such as when he witnessed the Jedi's destruction. 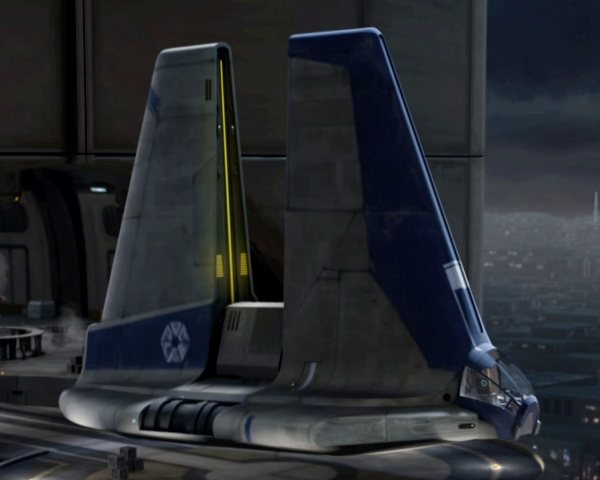 Kanan was able to use his Force powers to hold on to Fenn Rau's Fang fighter despite the Mandalorian Protector's best efforts to shake him off. When Kanan was blinded by Maul during his mission to Malachor, he used the Force to improve his senses and determine where Maul was so he could fight him. Under the tutelage of the Bendu, Kanan learned to see through the Force despite his physical blindness. 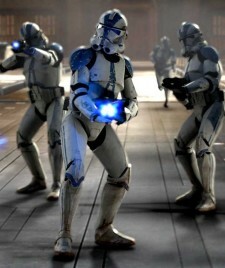 Through the Force, the blinded Kanan was able to accomplish feats including surviving being ejected into space, fighting Imperial troops and battle droids alike, using the Force to deflect a rocket towards an Imperial walker, and jumping onto the front armor plate of a fast-moving speeder bike. Due to his Force powers, Kanan was able to interact with Force-sensitive creatures such as the mythical loth-wolves of Lothal. He sensed that the creatures were connected to Lothal through the Force and were trying to warn the rebels that the Empire was doing something malevolent to Lothal. His sudden display of seemingly unnatural power with the Force, as well as his blind eyes returning to normal, appeared to be due to his interactions with the spiritual loth-wolves. Jarrus was a capable pilot, though he recognized that Hera Syndulla was much better than him in this aspect. He also knew how to swim, and was very accurate with the use of firearms, favoring a DL-18 blaster pistol—a gunslinger's weapon—much of the time, since drawing his lightsaber would attract Imperial attention. He also showed great skill in hand-to-hand combat as shown on their mission to Stygeon Prime: Jarrus easily disarmed and knocked out stormtroopers while unarmed, or knocking Tápusk and all of his men with ease. A speaker of Basic, Jarrus also understood Binary and Ithorese. Under the Bendu's tutelage, Kanan learned to suppress his fears and anxieties. Being able to master his fears enabled Kanan to use the Force to convince the spider-like krykna that he was not hostile. Despite being blinded, Kanan's affinity with the Force allowed him to continue riding his speeder bike while braving an Imperial orbital bombardment.